A healthy mind is an essential ingredient for a young person’s development. Ensure your staff are trained to know the triggers and to support pupils in need. Children and young people face many challenges in their developing years. Navigating their way through societal pressures, stress and personal problems can be bad news for their mental health. Unfortunately, the symptoms of mental health disorders can often be written off as part of normal adolescence. The reality is that the emotional wellbeing of pupils is just as important as their physical health, and that schools must equip their teachers to support all pupils and promote good mental health. With statistics from the Mental Health Foundation stating that mental health problems affect about one in ten children and young people, this responsibility for teachers is huge. How can you ensure your staff are able to recognise the signs and support mental health? Attachment disorders and mental health is a unit within our downloadable, ready-to-deliver SEND for Classroom Teachers training course. Deliver this interactive, 90-minute session to staff in order to develop their knowledge and approaches to pupil mental health. Understanding risks associated with mental health and wellbeing is very important. In order to encourage your staff to illustrate their initial understanding, ask them to consider two questions. Can you think of risks that pupils you work with face? 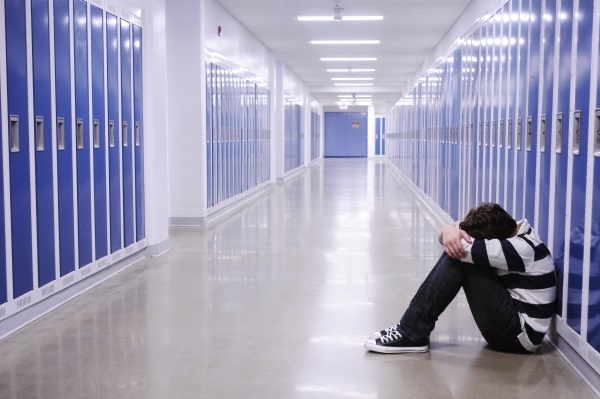 What factors increase the likelihood of your pupils suffering from mental health difficulties? There are certain ‘risk factors’ that make some children and young people more likely to experience problems than others - though that doesn't necessarily mean difficulties will come up or are even probable. However, awareness of situations that a pupil may be facing will allow a teacher to ensure the right support. Teachers should have a firm grasp of the three most common mental health needs. Depression: more common in adults, but more young people – mainly teenagers – experience depression than ever before. Self-harm: very common among young people. It is usually a coping mechanism to help them manage intense emotions. Eating disorders: examples include anorexia nervosa and bulimia nervosa. These can have serious consequences for physical health and development. A small number of young people develop them – they usually start in the teenage years and are more common in girls than boys. In order to identify these mental health risks and take necessary action, talk your staff through the following steps. Always pass on your concerns if you think a pupil may be experiencing difficulties. In terms of safeguarding, there are times you are required to share information if a pupil is at risk, even if they have asked you not to. Familiarise yourself with your school’s procedures and policy with regard to safeguarding. Promote positive thinking or relaxation strategies in the classroom to encourage a healthy mental attitude. Our training unit on Attachment disorders and mental health will allow your staff to develop their approach to encouraging good mental health, raise awareness of risk and ensure their familiarity with the protocol for supporting pupils in the classroom.